Our solution with the advanced electronic signature, in addition to being used for signing documents and contracts online by indicating consent, approval, authorisation or acceptance of the document’s content and/or the terms of conditions of a contract, it also serves as a method of identification. 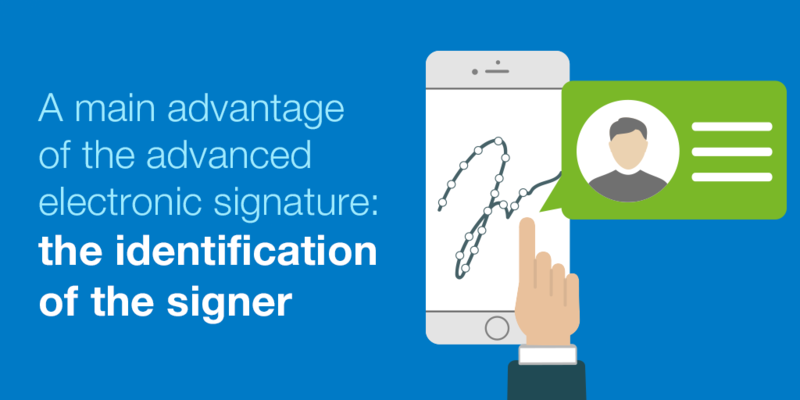 In this post we will explain about the advantages of the advanced electronic signature that we offer at Signaturit as an identification system. We human beings can recognise other people’s identity when looking at each other due to biological characteristics such as facial features, voice, how people walk, etc. So, the European Union has cared to develop a standard to identify citizens and companies with the same level of security but by electronic means. Thanks to the approval of the Regulation (EU) Nº 910/2014 by the European Parliament and Council on 23rd June 2014, regarding electronic identification and reliable services for electronic transactions on the domestic market (known as eIDAS) this is possible. This European Regulation determines a new legal framework for the different reliable services amongst which is the electronic signature. The aim of this regulation is the increase the efficiency of public and private services online so that as individuals we trust electronic transactions more and as a result, electronic commerce in Europe can be boosted. Ultimately, it is about removing the barriers between member states, with identification systems for citizens and companies through the validity of their electronic signatures, making their identification agile, safe and efficient. The eIDAS defines electronic or electronic identity as, “the process of using a person’s personal data in an electronic format to uniquely represent an individual, legal entity or an individual that represents a legal entity”. When we speak about electronic signatures, we are referring to a set of data in electronic format, deposited alongside others or associated with them, which can be used as a means of identification of the signer. It is therefore a legal concept and a method of identification comparable to the written signature which uses different electronic mediums, such as an electronic pencil or a electronic signature. By signing electronically, the individual is verifying an action or procedure using electronic means, whilst leaving a record its date and time. As a method of identification, our advanced electronic signature is based on capturing biometric data which allows us to identify the signer, know who they and authorise them. The hand movement when countersigning is unique for each person. Whilst copying a signature is relatively easy, in a biometric system the signature’s appearance is not important. It is the act of signing what is important. the pressure that, with the finger or with a cursor, is placed on the devise used to sign (mobile, tablet, laptop or PC) in the devices that allow it. From these variables we can obtain others, like the time it takes to finish a stroke, the times that the finger (or cursor) leaves the signature box, or the angle at which each stroke is traced, amongst other data. All of this data helps to uniquely identify the signer and they are stored under encryption with a public and a private password. Only Signaturit has the private password, so we do not have direct access to this information. We can only gain access to it if there is a dispute between the parties that sign a contract, or a court requires access to the biometric data of the signers in order to verify the authorship of a disputed signature for an independent company that has been hired to store it under the maximum level of security. >> Related Post : How are dubious signatures analyzed in a judicial process? This process is safer than the simple signature and it has more steps to guarantee and demonstrate the signer’s identity. What practical use does the advanced electronic signature have as a method of identification? By using the Signaturit advanced electronic signature, both clients, suppliers and employees can sign documents in three simple steps, from any device and without having to download any apps, so there are many varied practical applications. In this blog we have publishd several case studies about how our clients use our electronic signature. 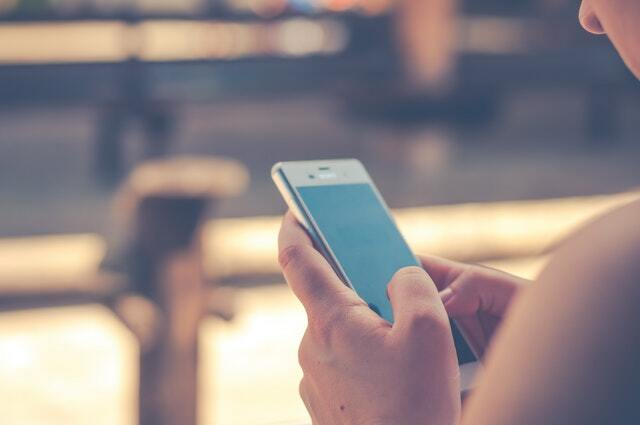 Amongst them is the case of Wanna which uses the electronic signature to offer loans from mobile phones, with its security and functionality requirements being satisfied. In general, our solution is designed for operations that require a signature for online authorisations, making the habit of signing in companies simple and with the maximum legal guarantees.